Put yourself in the shoes of the homeowner. This is something that each and every builder strives to do. Here at Rittenhouse Builders, we try as often as possible to place ourselves in our clients’ shoes to make sure projects run smoothly and our clients feel more at home than ever once the project is done. 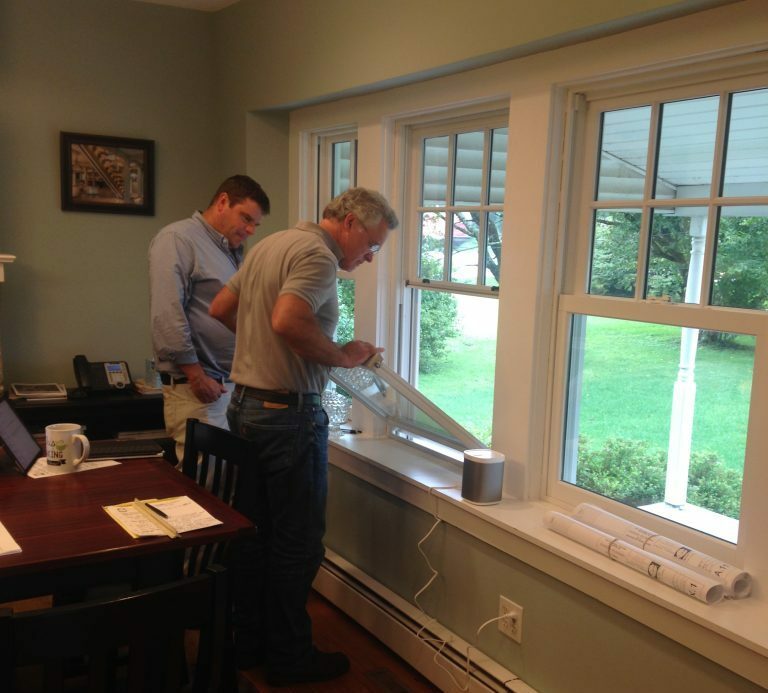 Through experience, we understand that window replacements can add up to 10% of an entire project. With that being said, most of our clients do not actually get the opportunity to operate and experience the windows that they are deciding between. So, imagine yourself looking to do an addition or renovation where 10% of your project cost is going towards new windows and you have to decide which ones you like by looking at photos on magazine paper. When we place ourselves in those shoes, we don’t like the odds. 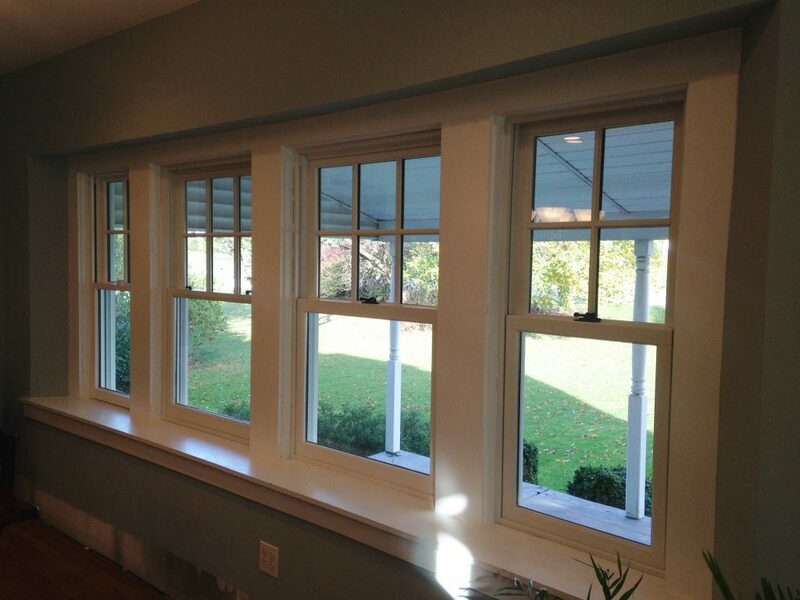 We realize that choosing windows for your home should be a kinesthetic, hands-on experience. That being said, we have recently installed the leading windows into our office space so that our clients and architects can feel and use them instead of choosing between photo paper images. Below is some information that we learned along the way. 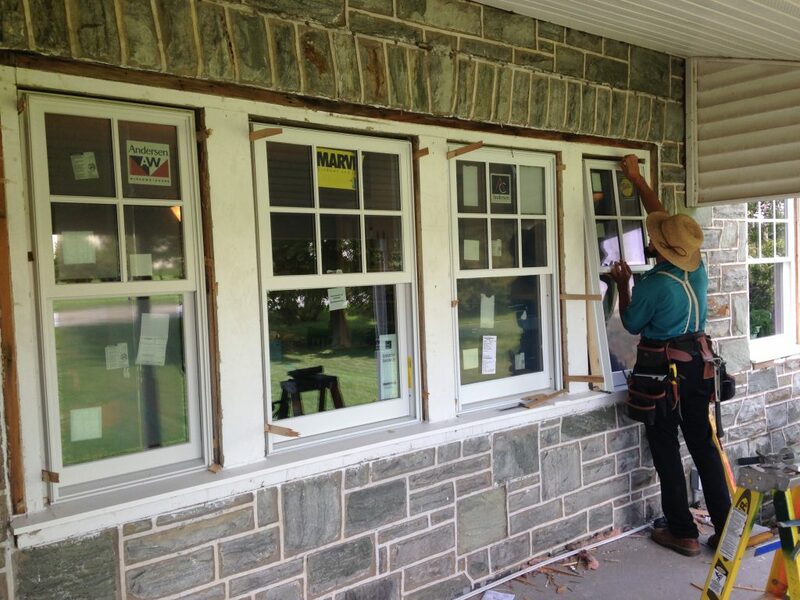 Here, the windows are being installed by Isaac – a team member of one of our partners. You can see the labels of the different types of windows that were installed. Which do you think was the easiest to install? As you can see, each window has its own unique features – some for better and some for worse. All of the sash locks operate in different ways and each window has its own way of tilting in. We are also updating other areas of our office space so stay tuned for more details. Which one did we discover to be our favorite? Come check out the windows for yourself in our office to find out! We already had Mark Myers Architects over to take a look at which he likes best!